It is worth noting that the once-mighty NBC News division is now a tiny cog in the giant money-making machine that is Comcast. Exercising a legal prerogative, the giant cable provider decided to go ahead and gobble up the rest of NBC Universal that it did not already own. As a result, the entire NBC Universal, including TV news carried by NBC, MSNBC, CNBC, et al, are now owned by the biggest cable provider in the US. So, from one point of view, the journalists at NBC News have a new set of conflicts of interest: how do they cover Comcast and its many problems, regulatory issues, lobbying efforts, etc.? According to today’s Times, NBC Universal was sold for $17 billion or so from GE (a $147 billion corporation) to Comcast (a $62.5 billion corporation). Comcast Cable was originally formed as American Cable Systems in 1963 and was founded by Ralph J. Roberts, Daniel Aaron and Julian A. Brodsky based on a recommendation from Pete Musser, who brought the deal to Ralph Roberts to buy his first cable system in Tupelo, Mississippi. The company was incorporated in Pennsylvania in 1969, under the new nameComcast Corporation. [dead link] The name “Comcast” is a portmanteau of the words “Communication” and “Broadcast”. Before 1889, Thomas Edison had business interests in many electricity-related companies. . . In 1889, Drexel, Morgan & Co., a company founded by J.P. Morgan and Anthony J. Drexel, financed Edison’s research and helped merging those companies under one corporation to form Edison General Electric Company which was incorporated in New York on April 24, 1889. The new company also acquired Sprague Electric Railway & Motor Company in the same year. At about the same time, Charles Coffin, leading Thomson-Houston Electric Company, acquired a number of competitors and gained access to their key patents. General Electric was formed by the 1892 merger of Edison General Electric Company of Schenectady, New York and Thomson-Houston Electric Company of Lynn, Massachusetts with the help of Drexel, Morgan & Co. 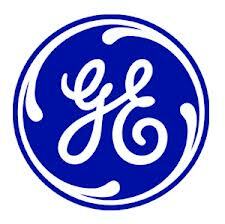 Both plants continue to operate under the GE banner to this day. The company was incorporated in New York, with the Schenectady plant used as headquarters for many years thereafter. In 1919, GE formed a subsidiary called the Radio Corporation of America (RCA) to get into the new business of manufacturing radios. A few years later, RCA executives, led by chief executive David Sarnoff, realized that they could also make money by providing programming to radio (and thereby stimulate further sales of the hardware, too), and they formed the National Broadcasting Company (NBC). In radio, NBC quickly became dominant in entertainment programming and in the brand-news enterprise of putting news on the airwaves. 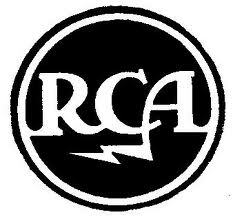 In 1930, GE sold off RCA under antitrust pressure from the government. Operating independently, RCA moved into its new headquarters in the new Rockefeller Center in midtown Manhattan, taking over the most prominent address in the complex, the skyscraper known as “30 Rock.” NBC was so dominant in radio that, again under antitrust pressure in 1943, it spun off a big chunk of its radio operations, which became the core of the new ABC. Sarnoff pushed RCA and NBC into television after WWII, and NBC News evolved from primarily a radio operation into primarily a tv operation. 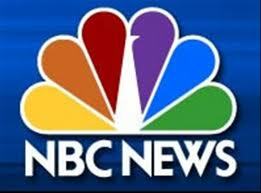 In the following decades, NBC News grew into a large-scale news-gathering operation, associated with its prominent TV evening news anchors: Chet Huntley & David Brinkley, John Chancellor, and Tom Brokaw. In 1986, GE bought RCA back and brought into the corporate fold once again, adding broadcasting to its global mix of businesses ranging from lightbulbs to locomotives to jet engines to finance and a lot of other things. 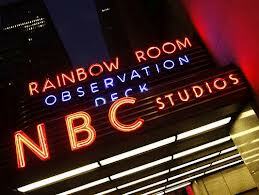 So, once again, RCA/NBC was a small part of a big corporation. In that context, NBC News had plenty of conflicts of interest when it came to covering GE, since it was a large defense contractor and had a hand in dozens of industries. If it is true that “freedom of the press belongs only to those who own one,” we are still a long way from having a truly free and independent NBC News division.